According to a recent news article from Wicked Local Cambridge, a new, two-direction bike lanes program on Brattle Street in Harvard Square is leading to some major disagreements between business owners and cyclists. The bike lanes are a new design that places two bike lanes closest to the curb and sidewalk along Brattle Street. This design is very different from existing bike lanes in other areas. The first thing that distinguishes it is that it is a protected bike lane. This means that there is a painted divider between the lane intended for vehicle traffic and the bike lanes with plastic poles installed on the painted divider to serve as a physical barrier. This is not an impenetrable barrier like a Jersey barrier as they are designed to brake away, but it would make cars much more likely to keep their distance than if the divider was not present. However, it is not the protected nature of the bike lanes that makes them seem revolutionary to the community but the fact that there are two bike lanes side by side divided with a dotted yellow line so that one lane is intended for travel in the opposite direction as the other. This means that one bike can pass another bike while staying in their respective lanes while traveling at full speed. They could even have two way bike travel on a one way street as is proposed in this plan. City counsel members released the new plan as part of their portion of the Zero Vision program. The Zero Vision program is a multi-million dollar to initiative improve roads and sidewalks to bring the number of traffic accidents that result in serious personal injury or death in the greater Boston area to zero. This number includes serious or fatal Boston bike crashes as well as car accidents. When the city council members released their bike lanes plan, they expected it to be well-received, and it was by some, but it was also panned by others making this one of the more controversial proposals as business owners in Harvard Square do not seem very happy with the entire concept. Their reasons for disliking the plan is that they contend that they had no idea this was going to happen and said it is and will continue to negatively impact their respective businesses. This led to a meeting on the topic being held and was heavily attended by business owners and other community groups but it was reported that cyclists flooded the meeting that night. The mayor of Cambridge, Denise Simmons, said that it might be best to delay construction for 30 days so that a further meeting could be held and everyone would have time to present their views. It appears that the bike riders did not believe this was inadequate response and protested by siting on the floor of the meeting room for around seven hours. They felt that the city was abandoning their commitment to bike safety. While some might not understand why this is such a big a deal to bike riders, we are not talking about convenience, and instead are talking about a way to prevent bike riders from getting seriously injured or killed by negligent car operators. When you think of the issue in these terms, it should be fairly easy to understand why it is such a big deal. This attitude toward bike riders is part of a broader negative attitude towards bike riders that is fueled mainly by misconceptions. It is no secret that many motorists do not believe bike riders have the same rights to the road as they do, and this is simply not true. They get angry when they have to slow down for a bike and then attempt to pass that bike in a reckless manner only to get overtaken by the bike again at the next intersection. They feel that bike riders are the ones that are being negligent and reckless and causing trouble for everyone. While there are certainly some bike riders that fall into this category, the vast majority of bike riders are more than happy to follow the rules of the road. They are also out getting exercise, reducing their carbon footprint, and keeping the road less congested, not more, by reducing the number of cars. 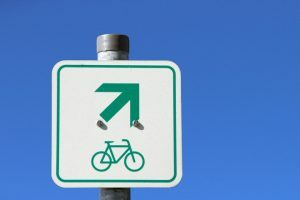 However, since many drivers are not willing to obey the rules of the road and give bike riders their legal right of way, it becomes necessary to find other ways to protect the rights of bike riders in cities like Boston and Cambridge so they need to do things like make protected bike lanes with bi-directional travel. Making a suggestion to hold off on the bike lane construction for 3o days might not seem like a big deal, but to the bike riders who travel through Harvard Square on a daily basis, we are literally dealing with issues of life and death. If that 30-day delay results in a single serious or fatal bike accident, we are dealing with far more than an inconvenience. That is why the bike riders were so upset and felt the city has decided to abandon its commitment to public safety. The mayor, however, wanted to be clear that the cyclists misunderstood her intentions. She said there was no intention on her part, now or ever, to place a moratorium on building much needed bike infrastructure. She said there were a lot of social media postings that said this was part of a large plan to dismantle the city’s efforts to build infrastructure for the bike riders and that was not true in any way. This is clearly a hot topic right now, and it should come as no surprise that a mayor is concerned about business owners being upset since that is how politics often works, but it is essential that for those who choose to ride a bike in the greater Boston area, bike infrastructure is about remaining safe and making it home an night. There is far more at stake here than simple convenience.